Easy order and processing for checks, deposits, and other supplies. Order payroll tax supplies including 1099's kits, W2 kits and more. Prices are determined by Intuit and are subject to change at anytime. These rates reflect the QSP discount for your customer. If the order is determined to be taxable, your client will be charged the sales tax rate determined by Intuit. The charge will show up on your credit card statement as payment to Intuit. Please allow 1-2 business days to process. Once processed, it may take about a week to receive. 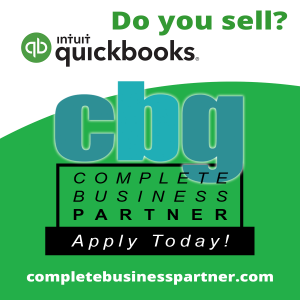 Call 843-407-0447 or email partners@completebusinessgroup.com if you have any questions!